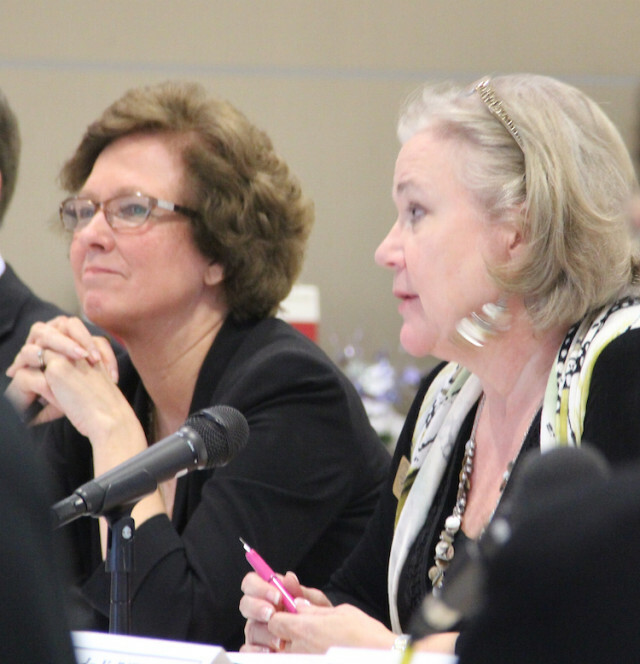 During a forum at Riverview High School in Sarasota on Thursday, May 26, members of the public may offer their comments about the qualities they would like to see in the next superintendent of the Sarasota County Schools, the school district has announced. The session will be held from 7 to 9 p.m. in the school cafeteria. Although it is intended primarily for school district employees, a news release says, anyone is welcome to attend. The school district has engaged the Florida School Boards Association to conduct a nationwide search for White’s successor, the release adds. One of the key elements in the process is asking community members what they believe to be the strengths of the school district, what challenges it faces and what characteristics they feel are most important for a superintendent to exhibit, the release points out. In addition to the public forums, information is being collected through an online community survey. It is available on the district website at www.sarasotacountyschools.net. Participants work in small table groups, the release explains; the ideas they report out are recorded and compiled in a report. Participants also have an opportunity to speak at an open microphone and to submit ideas in writing. “The information from the forums will be shared with the applicants for the position, with members of a community committee that will help screen applications, and with the School Board, which will appoint the new superintendent,” the release notes. For more information about the forums or the superintendent search process, visit the Sarasota County Schools website and click on the “Superintendent Search” button on the home page.